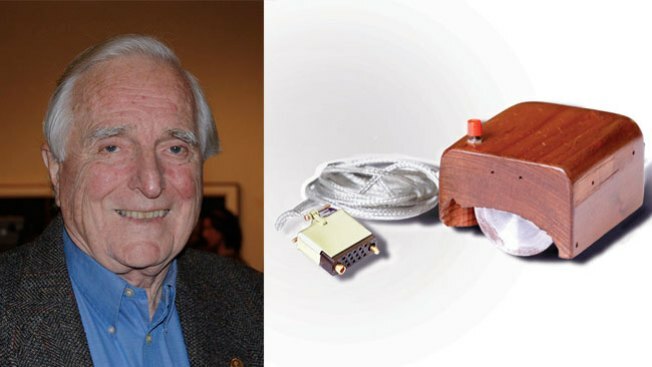 Douglas Engelbart and his invention, the mouse. Douglas Engelbart, the inventor of the computer mouse, has inspired a new musical theater work. The Demo premieres April 1-2 at Bing Concert Hall at Stanford University. Created by electronic music composer and trumpet player Ben Neill and composer Mikel Rouse, the work centers around a pivotal demonstration Engelbart hosted in late 1968 wherein he introduced the mouse and other technology-forward inventions. The composers incorporate a speech Engelbart gave on the day into their original music. "He was dealing lightning that day," Rouse told San Jose Mercury News of Engelbart's demo. "Nobody had ever seen anything like that before. They emulated everything the Internet would be, from Skype to Google Chat." Unfortunately, Engelbart, who worked at the Stanford Research Institute in the 1960s, is not alive to enjoy this unique honor and presentation; he passed away in 2013 at age 88.